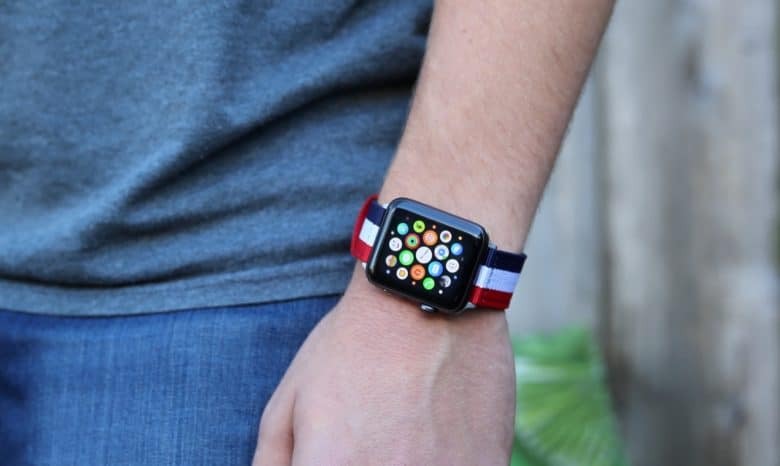 Nyloon’s Elysee Nylon Apple Watch Strap in navy, white and red has a comfortable, fabric-like feel. 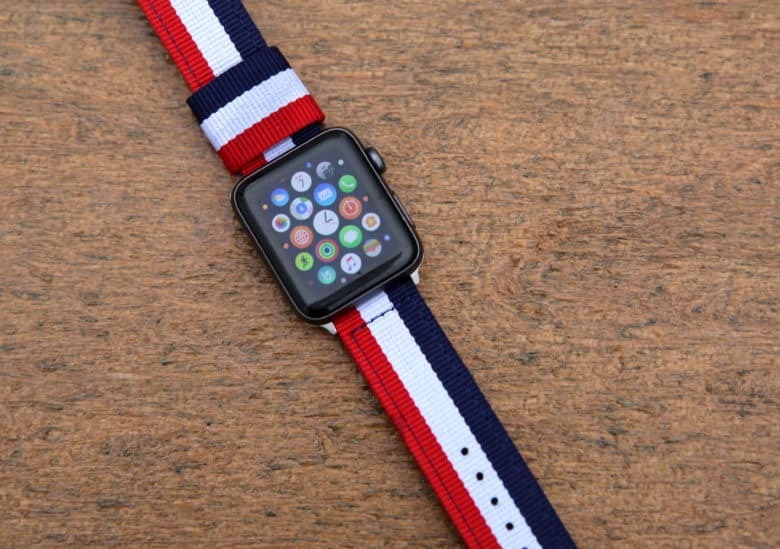 The original NATO strap needed to be as utilitarian as possible for soldiers. It was designed to be worn over or under clothing, such as a flight or wet suit, keeping the buckle away from the underside of the wrist to prevent it catching on clothing — or weapons. A durable, breathable material was a must. Nyloon’s Nylon Apple Watch straps echo this early version in a fresh, modern way. Its bands are crafted from two pieces of thick and tough ballistic nylon built to battle the worst weather conditions. The bands are super-comfortable, lightweight and versatile, and add a bit of tacti-cool street cred to your wrist. Swap them out in a flash with Nyloon’s new spring-bar adapter. Show your pride and joie de vivre with Nyloon’s rainbow band. Reflect your personality on your wrist with a range of vibrant colors from Nyloon’s arsenal — there’s a band for every look, from rainbow Pride to the crisp minimalism of the Cambridge band. 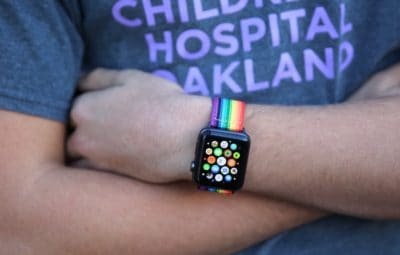 The bands are lightweight, comfortable and breathable, and come with nine heat-sealed adjustment holes for both 38 mm and 42 mm Apple Watch sizes. All band feature complementary-colored stitching. Adapters come in either steel or black to match your watch.